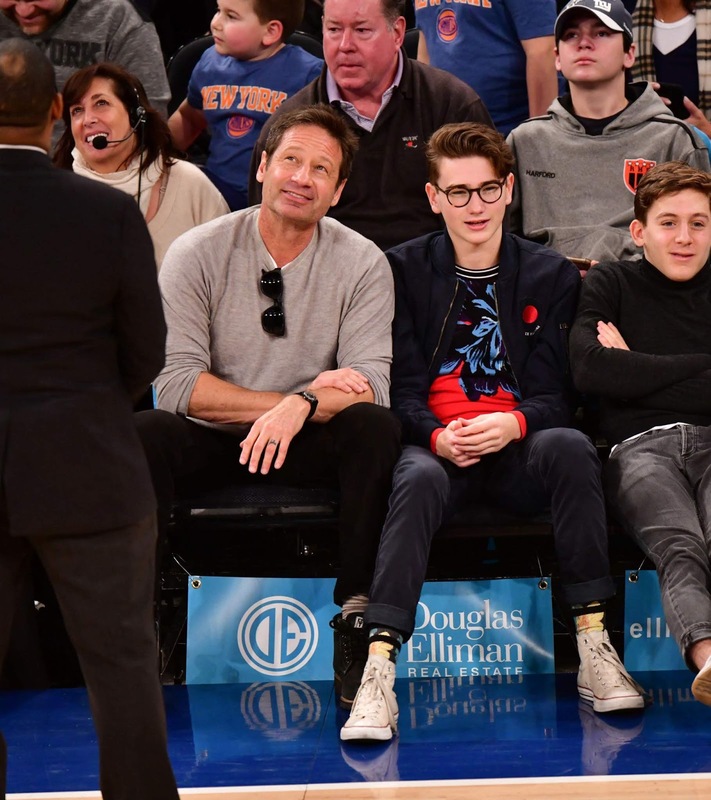 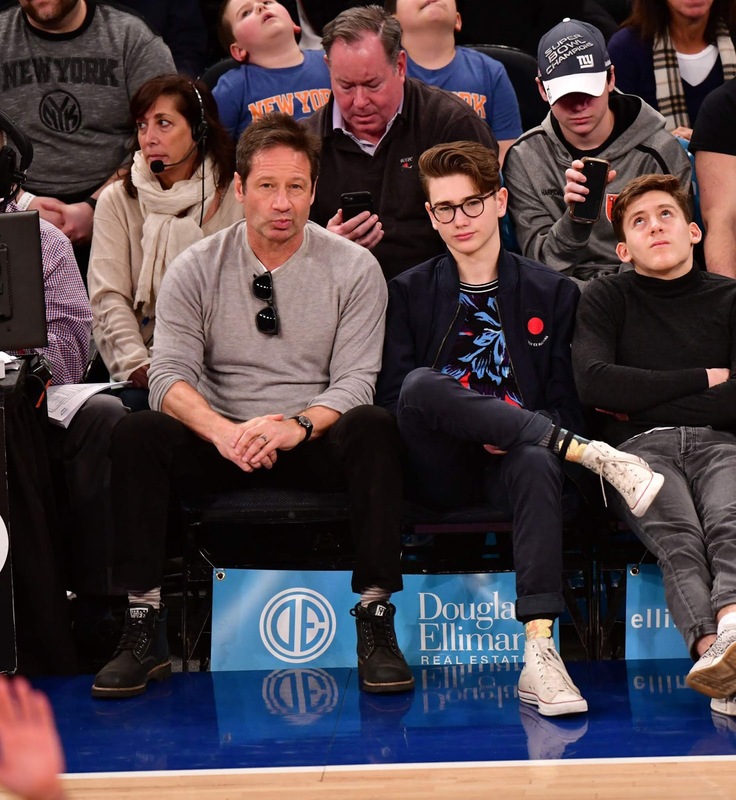 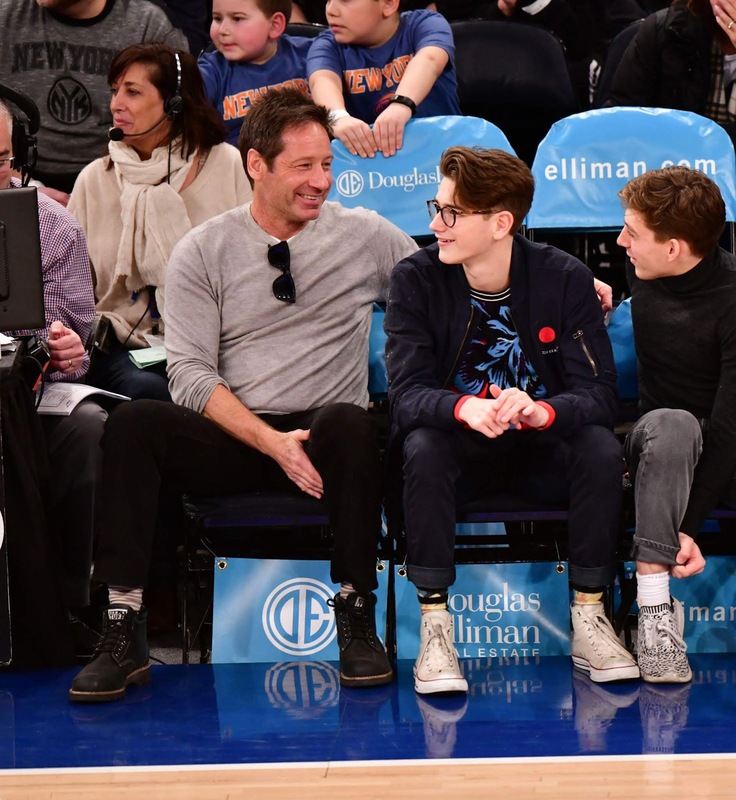 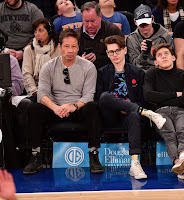 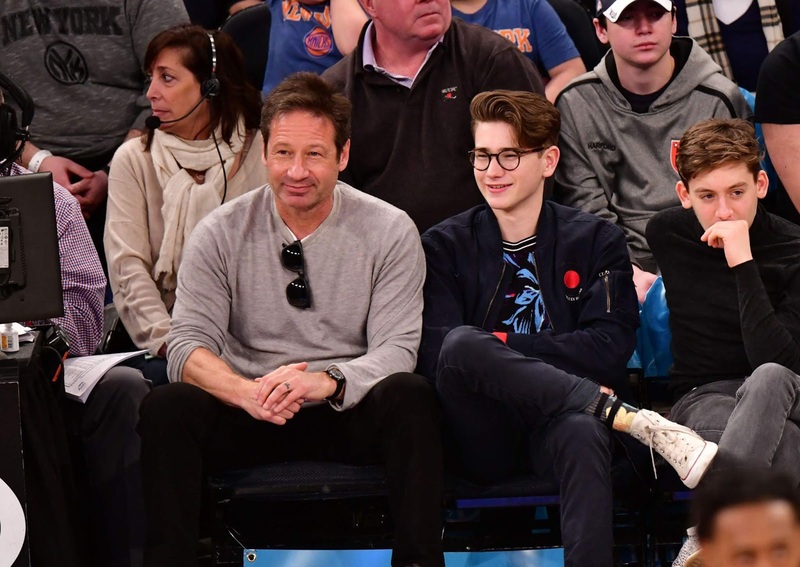 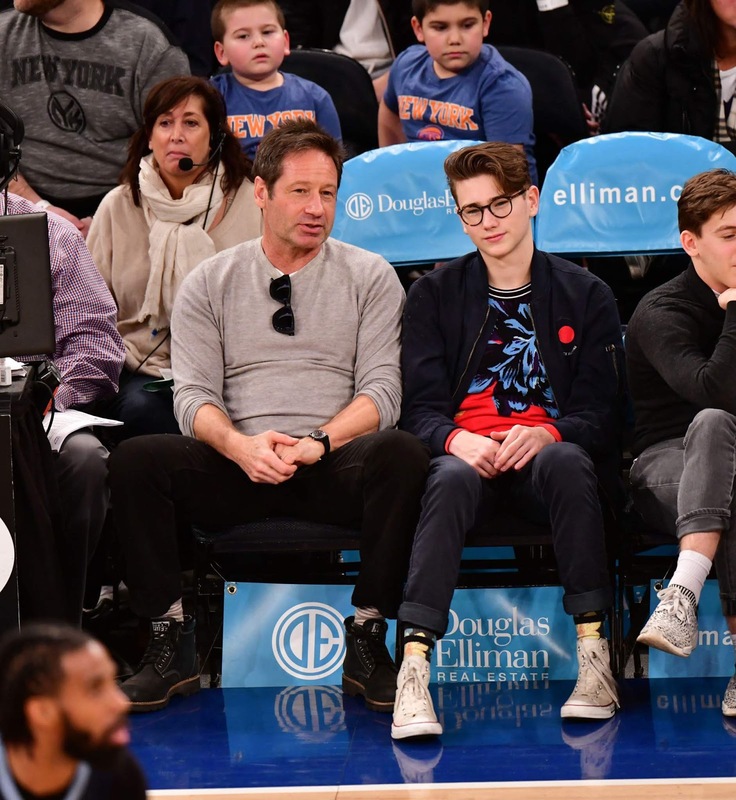 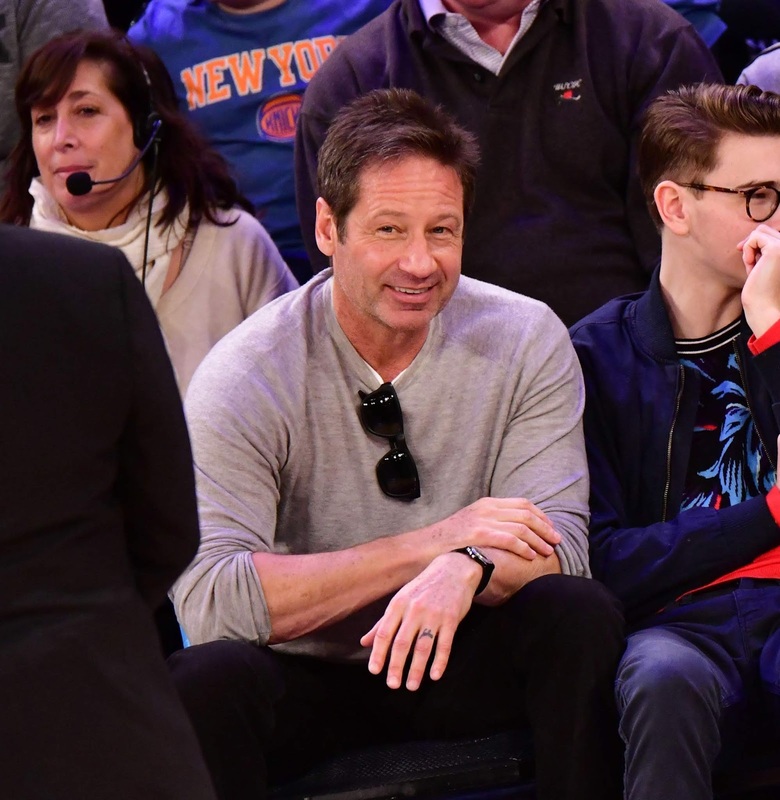 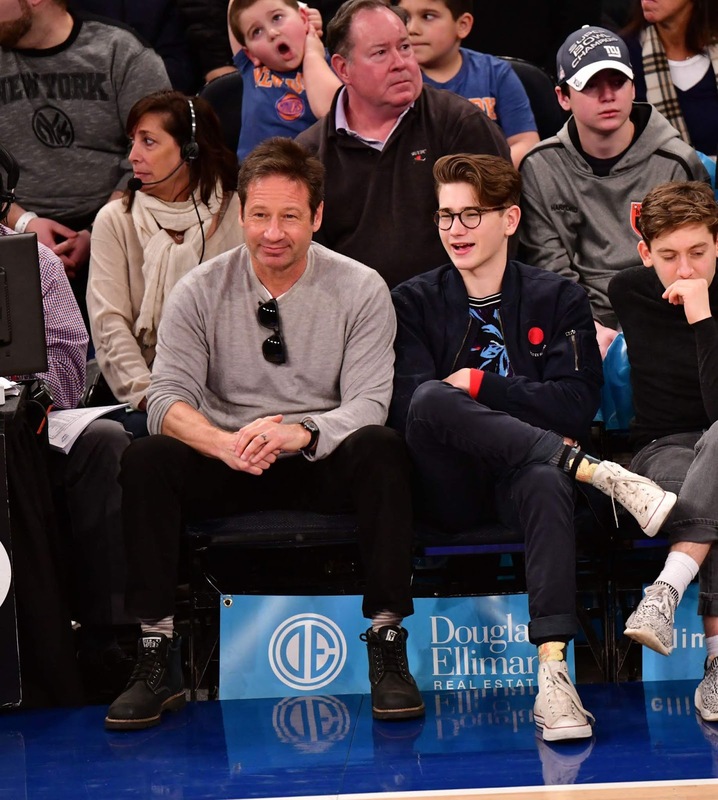 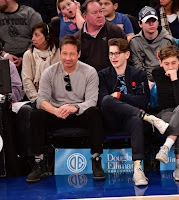 Duchovny Central : David Duchovny and son Miller Duchovny attend Knicks game at Madison Square Garden - Feb 3, 2019. 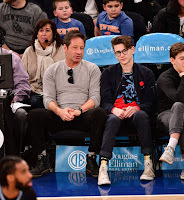 David Duchovny and son Miller Duchovny attend Knicks game at Madison Square Garden - Feb 3, 2019. David Duchovny attends Memphis Grizzlies v New York Knicks game at Madison Square Garden on February 3, 2019 in New York City.